Dr. Phan Xuan Khoi, head of the obstetric ward at the Viet Nam–Cuba Hospital, has helped over 30,000 women deliver in the last 25 years. 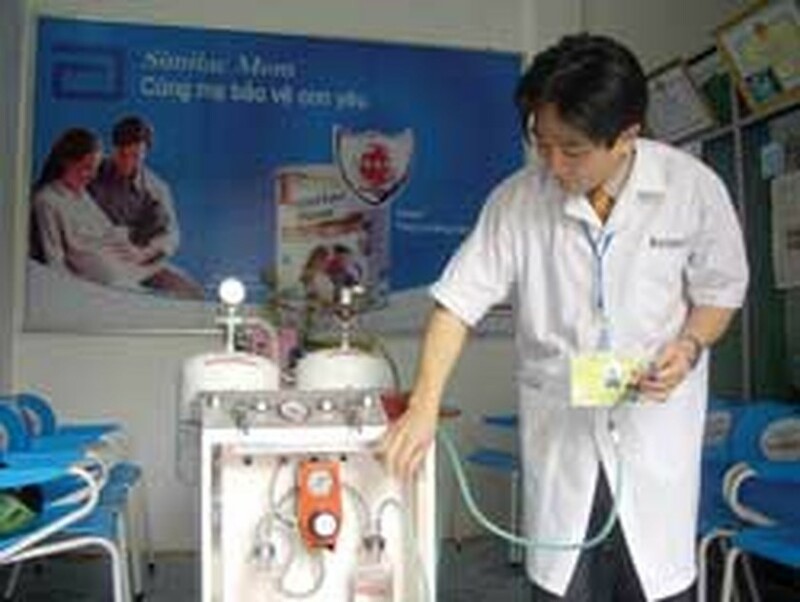 His inventions to make childbirth easier have been hailed by experts and adopted by hospitals around Viet Nam. Dr Khoi, who was born in a small village in the northern province of Quang Binh, decided at a very early age that helping women deliver was his calling in life. When he was ten, he witnessed his mother dying of a hemorrhage after giving birth to his younger sister. He decided then he would pursue obstetrics when he grew up to save the lives of poor women in remote areas for whom delivery was always risky. He topped his class at the Hue College of Medicine and Pharmacy in 1984, and was invited to work as a lecturer at the college. But he refused the honor to return home to fulfill his childhood dream. After a while, he applied for an obstetrician’s job at the Viet Nam – Cuba Hospital in Quang Binh. In Quang Binh people still talk about a complicated surgery he performed in 1999 on a pregnant woman who was severely hemorrhaging. She had been brought to hospital in critical condition, and doctors decided it was a hopeless case after a ruptured aorta had caused severe loss of blood. In a last-ditch effort, Khoi sought permission from the hospital management and patient’s relatives to attempt a new surgical technique he had developed called “ligation of hypogastric artery”. After a two-hour surgery, almost miraculously, the patient survived. The technique, on which Khoi had been working for several years, was then introduced in the hospital and has since saved many pregnant women who face a risk of uncontrolled bleeding. At a national conference on obstetrics held in Hanoi in the same year, Khoi’s technique impressed experts from Viet Nam and Southeast Asia. Hospitals around the country adopted it soon after. During his 26 years in the delivery room, Khoi has seen power cuts occurring many times during difficult vacuum extraction deliveries, causing agony to the mother and suffocating the baby. In this procedure the physician uses an instrument called a vacuum extractor, which has a suction cup that is placed on the baby’s head. A vacuum is created using a pump, and the baby is pulled down the birth canal. Dr. Khoi began to think how to improve imported vacuum extractors so that they would work even when the power was interrupted. He set about modifying them and created a device that is able to maintain a 760-660mmHg suction long enough to treat an extra 10-15 cases in the event of a power failure. His innovation is recognized as having saved hundreds of lives in Viet Nam, and has been granted a copyright by the Ministry of Science and Technology. 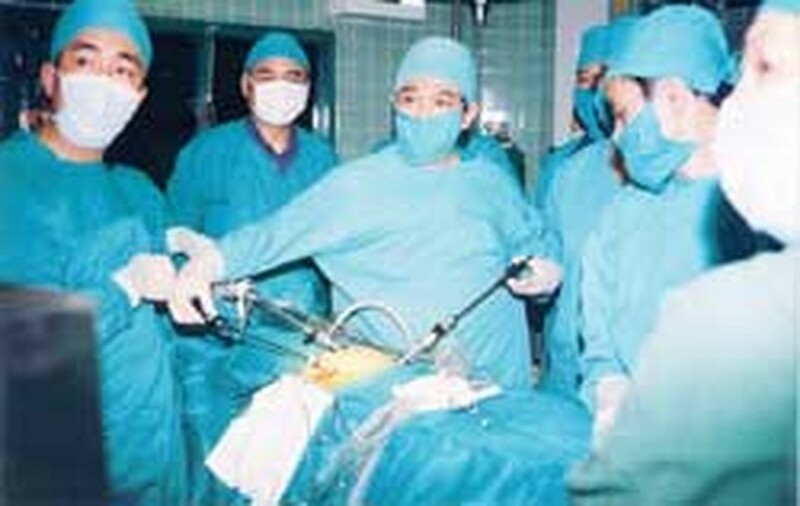 The modified pozzi forceps, another Khoi innovation, has also impressed experts who attended an international obstetrics conference in Ha Noi in May 2007. The forceps are used in surgical laparoscopy to remove fibrinogen in the uterus and perform partial hysterectomy. According to a study by the Vietnam – Cuba Hospital’s, they help shorten the duration of surgery and reduce the length of the incision from five centimeters to five millimeters. Thanks to Khoi’s forceps, surgeons now remove medical waste from the patient’s uterus through a narrower incision, dramatically reducing the risk of injury to the uterine mucous membrane. 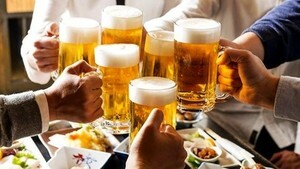 They cost just VND25,000-30,000 but do the job as effectively and safely as a fancy VND400 million hi-tech device. Former director of HCM City’s Tu Du maternity hospital, Nguyen Thi Ngoc Phuong, considers Khoi’s inventions a significant contribution to public heath when most hospitals in remote areas still desperately lacking modern equipment. Mr. Khoi’s “Ultrasound-guided Technique for Trocart Placement on Patients with Past Surgery” has been approved by the Vietnam – Cuba Hospital for eliminating problems related to past surgeries gone wrong and improving the appearance of scars from such surgeries. Dr. Khoi’s improved pozzi forceps and Ultrasound-guided Technique for Trocart Placement on Patients with Past Surgery have won awards given by the Viet Nam Union of Science and Technology Associations and the government for best scientific and technological innovations. The doctor himself has been conferred the title of “Good Worker, Creative Worker” by the Ministry of Health.